My husband and I are new residents to Bexhill. 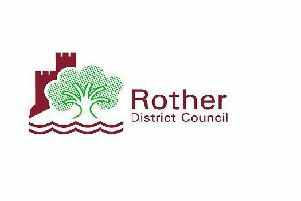 Since our first visit we are and continue to be impressed with Rother District Council’s waste collection services. Always pleasant and polite the waste collection guys work hard to keep Bexhill and its seafront clean and tidy and attractive to residents and visitors alike. Sadly the whole impression is quickly spoiled by the amount of dog mess left behind by the owners of dogs who do not clean up after them. On Sunday walking from the colonnade to Cooden it was virtually impossible to admire the view without treading in small or extremely large piles of mess. A popular route with dog walkers it obviously is and while I am happy to acknowledge that some owners do pick up after their dog(s) there are quite a considerable number who do not. Culprits range from those who are ‘occupied’ on their mobile phones thereby ‘missing’ the mess being deposited. Others have extending leads which allow them to walk on ‘unaware’ that their dog is ‘making a deposit’. Some are just not at all bothered and will watch and then walk on. In the summer I even witnessed a mother and daughter bring their dogs onto the beach, walk them to the waters edge, allow the dogs to defecate and then walk back up onto the promenade with them - completely shameless - and even passing less than polite comments to me when I protested. Small children then stood barefoot in the mess not long after they left. Maybe we should adopt the practice of circling in white the piles of dog mess to make them more obvious (as if this is needed) and this might shame some of the more irresponsible dog owners to clear up after their dogs. Come on dog walkers - don’t allow Bexhill to become a big dogs toilet - be proud of this lovely place and clean up after your dog!